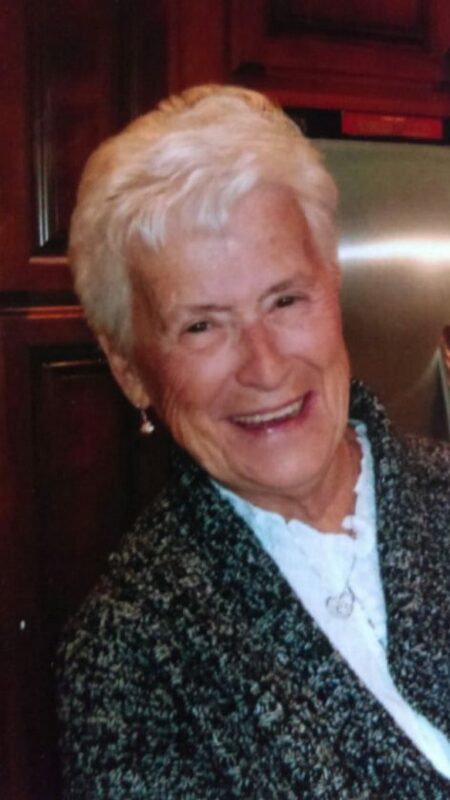 EAST TROY, Wis. — Clarice A. Lefebvre, 81, of East Troy, Wis., passed away Thursday, Jan. 25, 2018, at East Troy Manor in East Troy, Wis.
She was born Oct. 31, 1936, in Crystal Falls, daughter of the late Walter and Ruth (Swanson) Process. Clarice grew up in Sagola and was a graduate of Channing High School, Class of 1956. On Oct. 13, 1956, she was united in marriage to Bruce Lefebvre in Florence, Wis. During their 61 years of marriage, they resided in Iron Mountain, Appleton, Wis., Milwaukee, then enjoyed a long retirement in Fort Meyers, Fla. before moving to East Troy. Clarice enjoyed walking, reading and doing puzzles but mostly enjoyed her grandchildren and great-grandchildren. Survivors include her husband, Bruce Lefebvre; three daughters, Lorie (William) McLellan of Port Washington, Wis., Cynthia (Joseph) Kuczkowski of East Troy and Mary (Ron) Beneke of Wind Lake, Wis.; four brothers, LeRoy Process of Marquette, Ron (Sherry) Process of Sagola, Fritz (Rae) Process of Channing and Terry (Mary) Process of Norway; two sisters, Marlys (Rudy) Hoffman of Channing and Gail (Don) Hamby of Randville; five grandchildren, Amie (Blake), Nicholas (Ashley), Kaytie, Sandy (Perry) and John; and eight great-grandchildren. In addition to her parents, Clarice was preceded in death by one brother, Robert Process. Visitation will be held Saturday, Feb. 3 from 12:00 noon until 1 p.m. at the Jacobs Funeral Home in Iron Mountain. A memorial service will take place Saturday, at 1 p.m. at the funeral home. Fr. Raymond Valerio will officiate. Burial will take place in Channing. The family has chosen the Jacobs Funeral Home of Iron Mountain, to honor Clarice’s legacy of life.